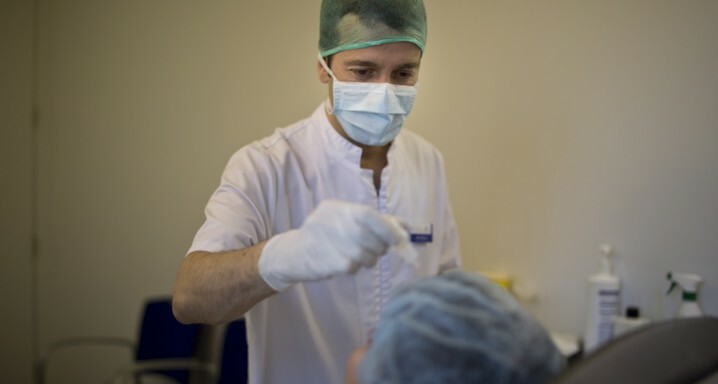 Photodynamic therapy is a treatment that consists of injecting a photosensitising agent intravenously that is then activated in the retina by applying light of a certain wavelength on the zone to be treated. This has now become less important than injections of angiogenesis inhibitors in the treatment of wet AMD. It is used for some specific subtypes of wet AMD and, in some cases, in combination with angiogenesis inhibitors to treat resistant forms of neovascular AMD. As this is a non-invasive technique, it has few associated risks.